I have always wanted to have a nice herb garden. I know this seems like a strange time of year to be planting a herb garden but I thought since the temperatures are down, that it would be a good time to plant some perennials. Of course, right now is the time to plant garlic. I might plant a bulb or two. I really want to plant some oregano, thyme and rosemary. 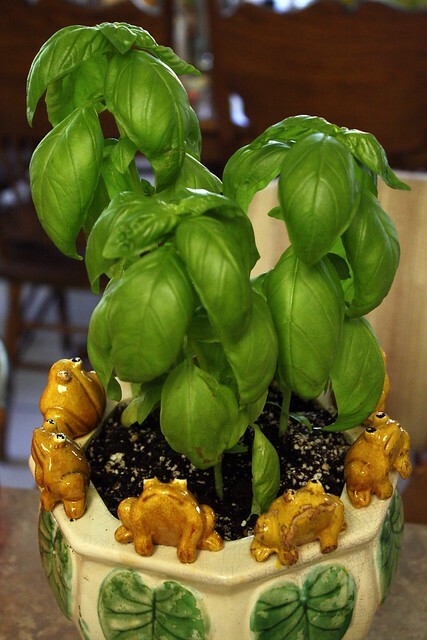 Next spring I will plant lots of basil. I love fresh herbs and buying them at the grocery store is quite expensive. Besides, any good cook has their own herb garden. I will try to post pictures as the garden grows. Update: October 3-I have been keeping the garden well watered. It has suffered through a few dogs running through it and digging. They probably ruined a few plants but I do have some little sprouts coming up. Now if I can just keep the dogs out of the garden it might have a chance to grow! !